McALLEN — After nearly 10 years in leadership, Texas A&M University-Kingsville President Steven Tallant announced his plans to retire effective December 2018, but before that even happens, he said it’s his intent to have a fully accredited campus in the Rio Grande Valley. 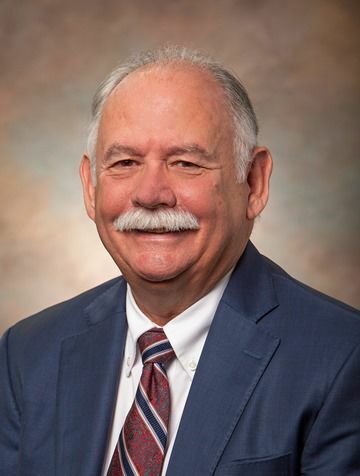 The announcement of his retirement as the 19th president of the institution broke Monday morning, and Tallant said his decision to retire was based solely on his need to spend more time with his family, in particular his wife of more than 40 years. Tallant was hired by the Texas A&M University System in 2008 and is the third-longest-serving president for TAMUK. Before his arrival at Kingsville, he was provost and vice chancellor of academic affairs of the University of Wisconsin-Eau Claire. One of his goals over his tenure was to nurture the university’s roots in the Rio Grande Valley, he said, as the area has historically provided a vast number of alumni, especially the Hidalgo and Cameron counties, where most of their students are from. TAMUK was the first university in South Texas in 1925, he said, and even though they have worked to expand courses that are offered in the area — such as the recently created paths toward several engineering degrees which launched in 2016 — they have only been permitted to teach no more than 49 percent of a degree in the area due to accreditation limitations. But Tallant is confident that this will soon change as the university received a positive review from the accrediting agency SACSCOC — the Southern Association of Colleges and Schools Commission on Colleges — on their application to offer full four-year degrees in Weslaco. Tallant said even though they are still waiting on final confirmation from SACSCOC, they are in talks of what full degrees can be offered starting this fall, and so far agricultural degrees have been part of the initial conversations. In the meantime, he plans to continue visiting the area to leave a steady plan of action before his exit. For now, the Texas A&M system is expecting to form a search committee soon to begin the search for a successor, but so far no timeline has been announced.